Kevin Huerter has dramatically boosted his draft stock since the end of the season. He's a versatile scorer who projects to fit nicely in the NBA as a fringe starter or valuable role player. He's able to create a bit off the bounce, run some P/R sets, and playmake for others with his good court awareness. At 6'7.25" and 194 lbs, he has the size and skill set to play multiple positions in the NBA. Athletically, Huerter is fairly quick with his 1st step and displays good lift/hang time around the basket when he attacks. 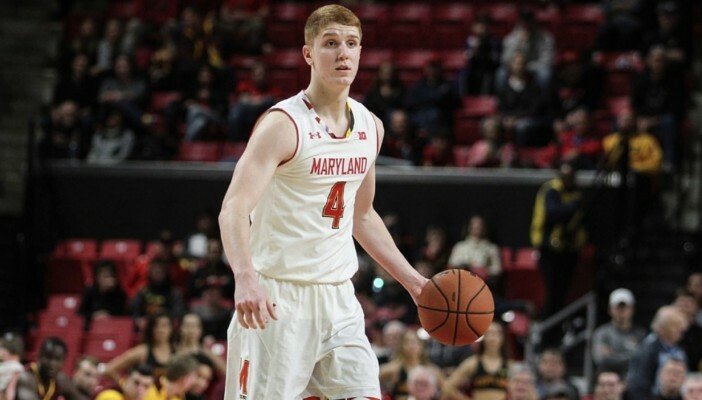 Huerter plays with a good blend of BBIQ and confidence, he does a nice job reading defenses and isn't afraid to attack/shoot when needed. Overall, Huerter is a very nice prospect who's skill set fits today's NBA and is worth a 1st round selection.